Superdry women's SDRY panel Portland t-shirt. Refresh your t-shirt collection with this on-trend tee. This tee features a crew neck and a panel with a Superdry logo graphic across the chest. 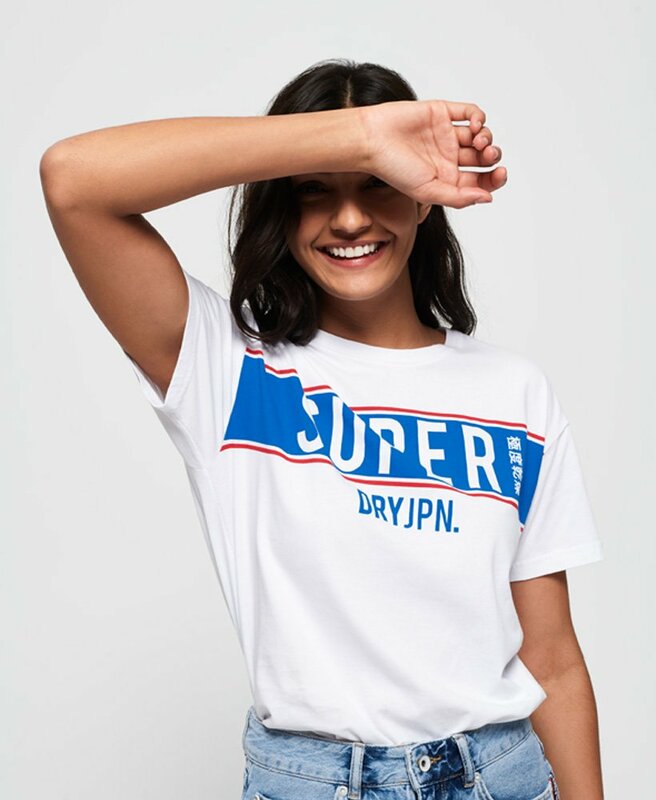 This t-shirt is completed with a Superdry logo tab on the hem. The loose fit of this t-shirt make it perfect for casual styling.